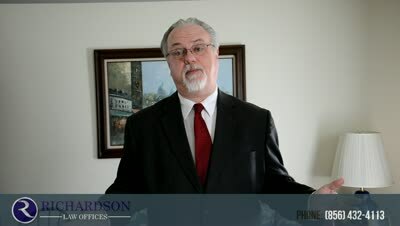 What Happens If You Do Not File an Answer in Time in a NJ Lawsuit Have you been served with a lawsuit in New Jersey? Has the 35 days to file an answer passed? Find out here what happens next and how it can affect you! There are many myths and stories out there, most of them perpetuated by debt collectors, about what can happen to you when a creditor brings suit. Here is the straight story, under New Jersey law, about what happens when a creditor sues you. First, the creditor files with the court a document called a "Complaint." This sets forth the basis for its claim for money due. As New Jersey is a "notice pleadings" state, it is presumed that you know who the creditor is, why it is your creditor, and in general why you owe it money. There are usually not a lot of details given. The Complaint is sent to you with another document called a "Summons," which sets forth where the Complaint is to be served upon you and instructions on what you must do if you wish to contest the claim. This involves a written response (called an "Answer") sent to the court and the Plaintiff within 35 days of your receipt of the Summons and Complaint. If you think you might have a defense, you need to consult with a lawyer right away. If no answer is filed within the time allowed, then the creditor has a Default entered, which will prevent you from filing an Answer, and submits paperwork to have a judgment entered against you. This judgment can include some simple interest, the filing fees to bring the suit, and sometimes attorney's fees. Once the judgment is entered, you owe the money, whether you may have had grounds to dispute it or not. Once judgment is entered, the creditor has several tools in its toolkit to collect from you. It can levy on a bank account, garnish your wages, or levy on your personal property. It can also record the judgment with the Superior Court in Trenton to create a lien against any real estate you may own. This can cause a problem for you should you try to sell the property or refinance the mortgage. If the Plaintiff does not know where you work or where your bank accounts are, it can send you a document called an Information Subpoena and force you to tell them! You might be in a position where you are judgment proof, in which case, at least for the time being, there may not be anything the creditor can do. Want more information on the collection process and how you can fight back with your creditors? Then download my free book, The Biggest Secrets Your Creditors Don't Want You to Know. Become empowered and protect your rights! If you live in southern New Jersey, have a creditor suing you for $8,000 or more, and want a lawyer to represent you against their claim, call my office at 856-432-4113 or contact me through this site to schedule an appointment to come in. I have represented creditors for many years and am familiar with the collection industry and how it ticks. Put my experience to work for you! How to fight claims on old debt.